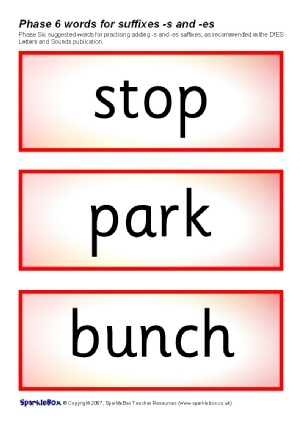 The suggested words for Phase Six practising adding the suffixes -s and -es as outlined in the DfES ‘Letters and Sounds’ publication. 30 words included! 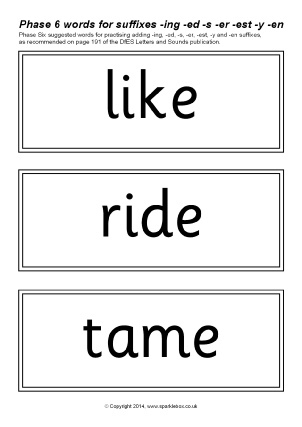 The suggested words for Phase Six practising adding the suffixes -s and -es as outlined in the DfES ‘Letters and Sounds’ publication. 30 words included. 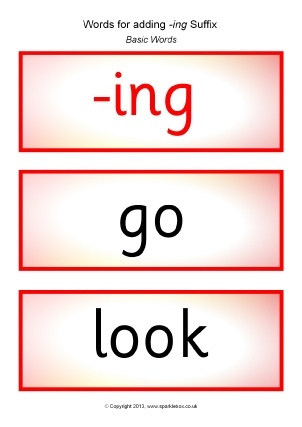 The suggested words for Phase Six practising adding the suffixes -ing, -ed, -s, -er, -est, -y and -en, as outlined in the DfES ‘Letters and Sounds’ publication. 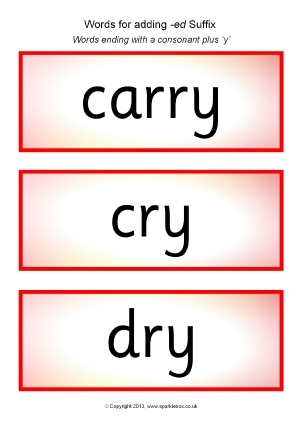 The suggested words for Phase Six practising adding the suffixes -ing, -ed, -ful, -ly, -est, -er, -ment, -ness, -en, as outlined in the DfES ‘Letters and Sounds’ publication. 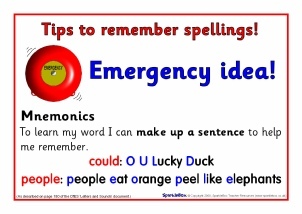 A set of posters featuring the memory strategies suggested on page 180 of the DfES ‘Letters and Sounds’ publication. 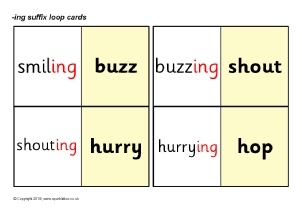 A set of printable loop cards featuring words with -ing suffixes. 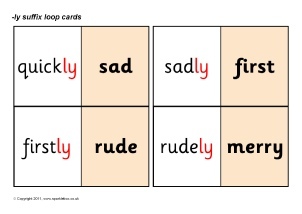 A set of printable loop cards featuring words with -ly suffixes. 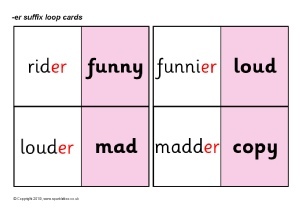 A set of printable loop cards featuring words with -er suffixes. 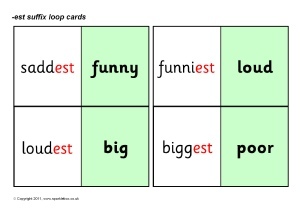 A set of printable loop cards featuring words with -est suffixes. 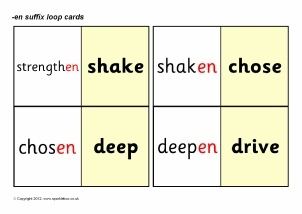 A set of printable loop cards featuring words with -en suffixes. 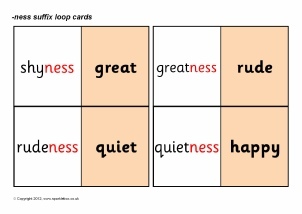 A set of printable loop cards featuring words with -ness suffixes. 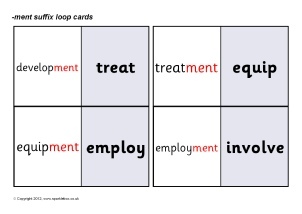 A set of printable loop cards featuring words with -y suffixes. 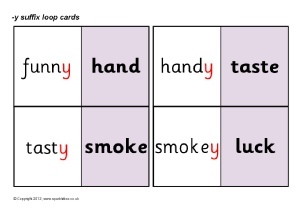 A set of printable loop cards featuring the example words with -s and -es suffixes, as listed in the DfES ‘Letters and Sounds’ publication. 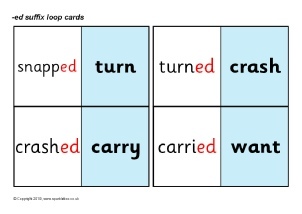 A set of printable loop cards featuring words with -ed suffixes. 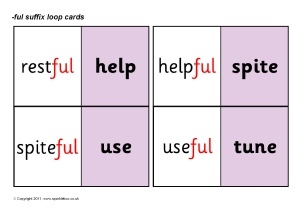 A set of printable loop cards featuring words with -ful suffixes. 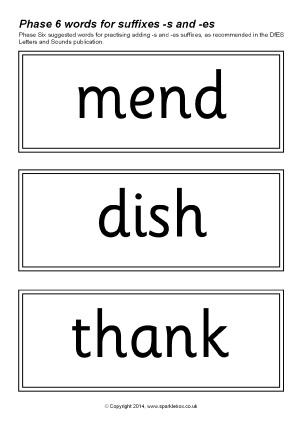 A set of printable loop cards featuring words with -ment suffixes. 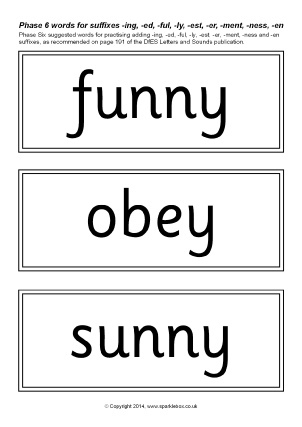 Printable word cards featuring words for adding the suffix -ing. 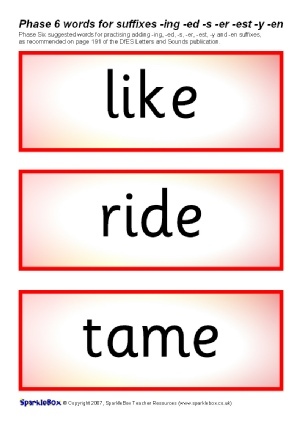 Includes regular words as well as words ending in ‘e’ and words with a short vowel for children to practise adding -ing to words with differing endings. 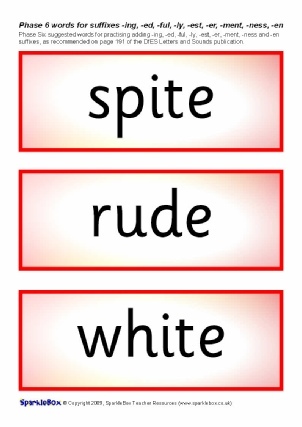 Printable word cards featuring words for adding the suffix -ed. 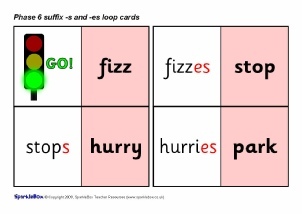 Includes a selection of words with differing endings for children to practise the -ed suffix. 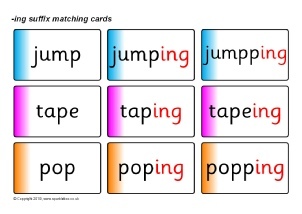 Printable cards where children match the root card to the correct spelling when the suffix -ing is added. 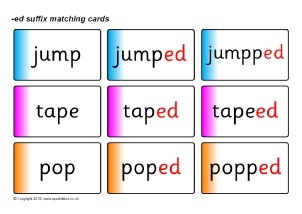 Printable cards where children match the root card to the correct spelling when the suffix -ed is added. 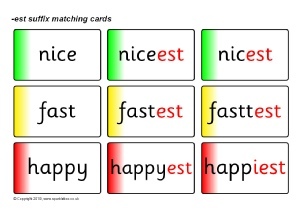 Printable cards where children match the root card to the correct spelling when the suffixes -s and -es are added. 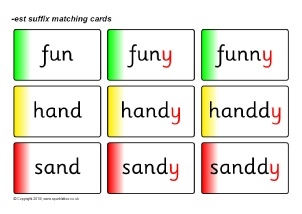 Printable cards where children match the root card to the correct spelling when the suffix -y is added. 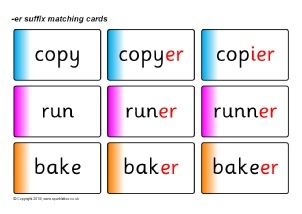 Printable cards where children match the root card to the correct spelling when the suffix -er is added. 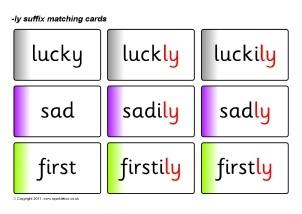 Printable cards where children match the root card to the correct spelling when the suffix -est is added. 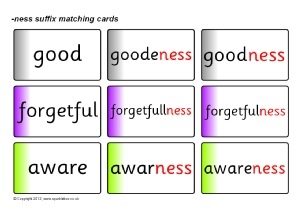 Printable cards where children match the root card to the correct spelling when the suffix -ly is added. 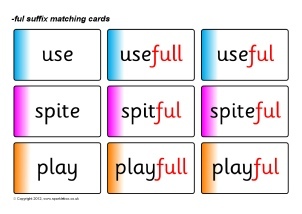 Printable cards where children match the root card to the correct spelling when the suffix -ful is added. 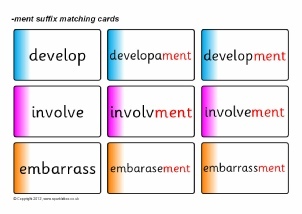 Printable cards where children match the root card to the correct spelling when the suffix -ment is added. 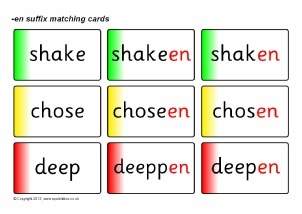 Printable cards where children match the root card to the correct spelling when the suffix -en is added. 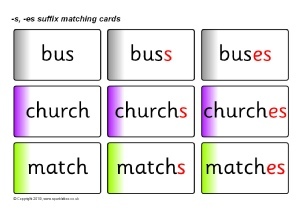 Printable cards where children match the root card to the correct spelling when the suffix -ness is added. 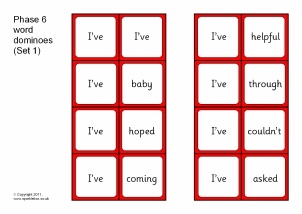 Printable word dominoes featuring words appropriate for Phase 6 level. A great activity to practise reading and recognition of these words with irregular spellings. 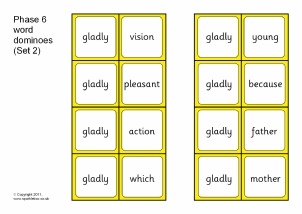 More printable word dominoes featuring words appropriate for Phase 6 level. A great activity to practise reading and recognition of these words with irregular spellings. 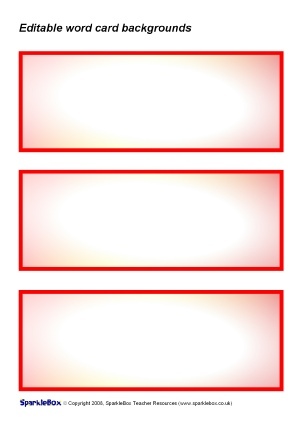 A set of coloured editable word card background templates for Microsoft Word. Includes orange, purple, green, pink and red - the colours of Phases 2-6 from the DfES ‘Letters and Sounds’ publication. Download all the resources in our Letters and Sounds Section in one file.